A judge who compared Israel to the Nazi regime in the Hove Crown Court trial of seven anti-war campaigners has been formally reprimanded. Judge George Bathurst-Norman made the comparison in a case where seven Smash EDO activists were cleared of plotting to damage a Brighton weapons factory. Jewish groups said his comments were offensive, one-sided and unbalanced. The Office for Judicial Complaints said the judge had been reprimanded for the remarks that could be seen as personal. Judge Bathurst-Norman declined to comment. The Office for Judicial Complaints issued a statement which said: "At short notice, the judge assigned to try a politically sensitive trial at Hove Crown Court on 28 and 29 June 2010 was unable to sit. "To avoid an adjournment, His Honour Bathurst-Norman agreed to replace him. "A number of complaints were made about some of the observations he made during the trial and summing up. "An investigation found that a number of these observations did not arise directly from the evidence at trial and could be seen as an expression of the judge's personal views on a political question. This was an error. "The Lord Chancellor and Lord Chief Justice considered the conclusions of the investigation and HH Bathurst-Norman was formally reprimanded." 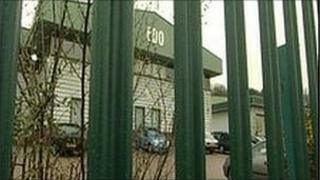 The statement added that the judge had been presiding over the case of campaigners alleged to have caused criminal damage in 2009, after breaking into the EDO MBM Technology building in Moulsecoomb that manufactured weapons components for Israeli fighter planes. The defence by campaigners from Smash EDO was that they had been protecting property in Gaza from being damaged by the Israeli airforce and they were entitled to use force to prevent war crimes. Christopher Osmond, 30, and Simon Levin, 35, both from Brighton, and Elijah Smith, 42, Tom Woodhead, 25, Ornella Saibene, 50, Bob Nicholls, 52, and Harvey Tadman, 44, all from Bristol, were cleared of conspiracy to cause criminal damage. During the summing up, the judge compared scenes in Israel's December 2008 bombing campaign in Gaza to those of the Nazi regime. A transcript of Judge Bathurst-Norman's summing up to the jury was published on the internet by Jonathan Hoffman, co-vice chairman of the Zionist Federation. The transcript said: "I am going to start with the background relating to Israel and Palestine and to the evidence which points to the war crimes being committed by Israel in Gaza, an area over which Israel has imposed a blockade. "The evidence shows that those war crimes are committed against the civilian population of Gaza and against the property of its residents, including the United Nations by the Israeli Forces. "Now you have to look at the evidence coldly and dispassionately. "It may be as you went through what I can only describe as horrific scenes, scenes of devastation to civilian population, scenes which one would rather have hoped to have disappeared with the Nazi regimes of the last war, you may have felt anger and been absolutely appalled by them, but you must put that emotion aside."